Frost Fighter kits are designed with the automotive and glass professional in mind. These kits provide a profitable solution to the vexing problem of professional rear defroster repair. Frost Fighter Pro and Master repair kits are the professionals choice when it comes to defroster repair. These kits are the best way to get customers back on the road quickly and keep them happy.. Developed based on years of experience repairing defrosters, these kits include everything needed to repair the most common automotive rear window defroster problems including broken grids, separated tabs, lost or damaged defroster connectors and tabs. Pro and Master kits include the most popular defroster replacement tabs that match Ford, Honda, Toyota, Nissan, Subaru, GM, Chrysler and many others. In addition kits includes defroster connectors, top selling silver tab bonding adhesive, grid repair kit and a handy troubleshooting lamp. 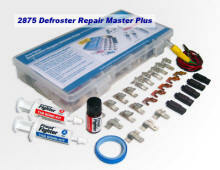 The Frost Fighter Pro and Master repair kits are the professionals choice when it comes to defroster repair. These convenient defroster accessory packs make it easy to have what you need when you need it when it comes to hard to find defroster repair accessories. Uni-Clip factory replacements work with all vehicle defrosters and connectors including Ford, Honda, Toyota, Nissan, Subaru, GM, Chrysler and many others. Choose the tab that most closely resembles the vehicle’s existing tab. In doubt? the 2300-URX is the most popular. 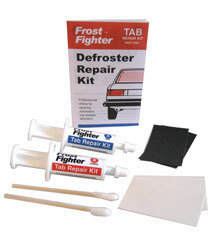 Re-attaching the tab to the defroster using the best selling Frost Fighter Tab Bonding Kit is easy. These are the most common reasons for defroster failure. 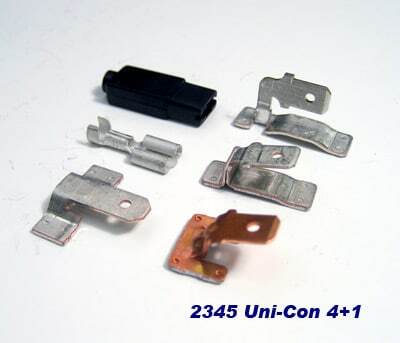 The Frost Fighter Tab Bonding Kit reattach tabs to rear window defrosters using a highly conductive two part silver adhesive that cures quickly, bonds aggressively and forms the electrical and structural connection in one simple operation. 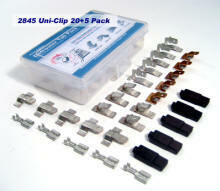 Tab Bonding Kits contain over 80% silver for highly conductive high amperage defroster tab bonding. 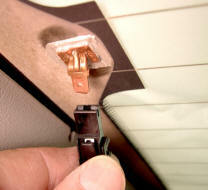 Repair scratched or broken defroster grid lines. The damaged grid area is masked off and repaired by painting the conductor over the damaged area. The conductor bonds aggressively, dries quickly and is color matched for invisible repairs. Why use Frost Fighter Defroster Repair? Frost Fighter kits are designed to make automotive and glass professionals money. A single kit provides ten or more defroster repairs keeping costs per repair low. 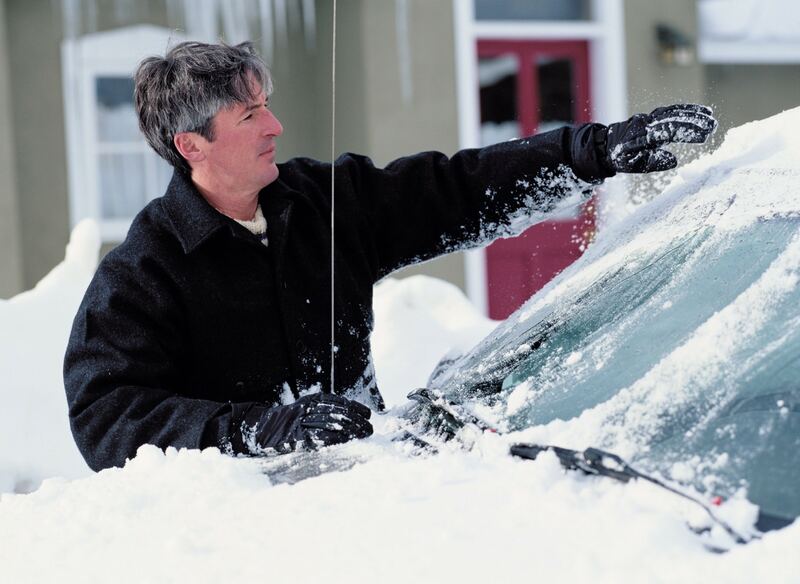 Typically defroster repairs are billed at higher rates than front glass repairs and deliver a good profit per repair. No expensive, complicated equipment or special training is required to effectively repair rear window defrosters with Frost Fighter Kits. The kits come complete with everything necessary including fully illustrated instructions. Training and equipment costs are minimized. Instead of sending customers “down the road” with their defroster problems use the Frost Fighter kits to earn customer loyalty by fixing their defrosters. With back glass costing hundreds of dollars, defroster repair can generate income while providing an opportunity to generate good will and repeat business. If you are already working in the automotive glass industry Frost Fighter kits make a lot of sense. The kits are simple to add to your arsenal of repair products and provide you with the opportunity to offer more complete and profitable solutions to your customer’s auto glass problems. Frost Fighter kits have been carefully designed and tested to insure the highest quality defroster repairs possible. Skip the make-shift repairs and the marginal kits. You can send customers on their way with confidence when you use Frost Fighter defroster repair products. See our company profile to contact us directly.